Does God Really Want Us To Be Encouraged? Holidays are dangerous times of discouragement. 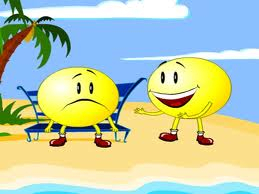 The expectations for gladness are higher, so realities of sadness are heavier. You’re supposed to be gloomy in February; so it’s more tolerable then. But Thanksgiving and Christmas are supposed to be festive. Hence the double whammy of discouragement. May I offer some preventative medicine? This text assumes that God had already said enough to give us encouragement. But God is not a God of minimums. His aim is not to speak as few encouraging words as possible. He speaks some words to give us hope. Then, being the effusive God he is, he says to himself, “This is good. I like doing this. I think that I shall do this again.” And so he speaks some more words of encouragement. But not just more. They are better. He moves from simple promises (which are infallible and infinitely trustworthy!) to oaths. And not just any oaths, but the best and highest kind—oaths based on himself. Why? Not because his word is weak. But because we are weak, and he is patient. There are good times in this life. But let’s face it: the days are evil, our imperfections frustrate us, and we are getting old, and moving toward the grave. If in this life only we have hoped in Christ we are of all people most to be pitied. There are good times yet to come in this life. But even these are rubbish compared to the surpassing worth of gaining Christ. Even here we can rejoice with joy unspeakable and full of glory. But only because there is a “hope set before us.” Reach out and seize it. God encourages you to. Take it now. Enjoy it now. Be encouraged by it now. Be strongly encouraged. Because your hope is secured with double infiniteness: the promise of God and the oath of God. 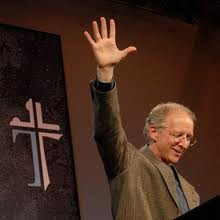 About Dr. Piper: John Piper is pastor for preaching and vision at Bethlehem Baptist Church in the Twin Cities of Minnesota. He grew up in Greenville, South Carolina, and studied at Wheaton College, Fuller Theological Seminary (B.D. ), and the University of Munich (D.theol.). For six years he taught Biblical Studies at Bethel College in St. Paul, Minnesota, and in 1980 accepted the call to serve as pastor at Bethlehem. John is the author of more than 40 books and more than 30 years of his preaching and teaching is available free at desiringGod.org. John and his wife, Noel, have four sons, one daughter, and twelve grandchildren.